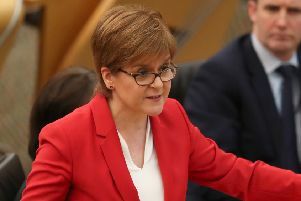 Nicola Sturgeon has revealed she will make a decision towards the end of this year whether or not to push forward with a second Scottish independence referendum. Scotland’s First Minister says he will make her judgement based on the details of the Brexit deal between Britain and the EU when the situation becomes clearer in the autumn. Sturgeon previously scaled back plans over ‘indyref2’ after the SNP lost 21 MPs at the general election in June of last year. The SNP has been accused by Westminster of deliberately trying to undermine the Brexit vote. A report on the impact of leaving the European Union is due to be released by the Scottish Government. Speaking to Andrew Marr on his BBC programme, Sturgeon explained her projected ‘indyref2’ timetable.